As a king, it would be great to have control over all that occurs in the state and building a place where you want to be and where everyone can be as they want to lead their lives. Basically, building a Utopia is what is the dream of the kings so that the subjects can live happily forever. There are many things to be undertaken by a king if we look closely. One of the most important job for the king is to build a perfect capital for all the people so that they can come to the capital very easily and talk about their problems. The placement of the capital must be such that it is accessible to everyone. So, I will wake it just at the center of my kingdom. This is how I can control the kingdom with equal rights for every subject and I will build small local courts so that all those who cannot reach me at the capital may get the justice they deserve. Most of the places have a flawed judicial system. 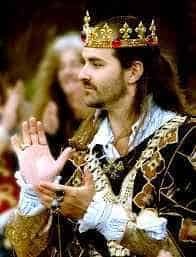 If I am the king, I would start making the judicial system perfect by creating a well-made session court controlled by me and numerous local courts. The judges of local courts will be handpicked by me through tests of knowledge and wisdom. It is very important that they get the justice and in that way, they will have total faith on their king. It seems to be a bit of a problem to control the whole kingdom from a single place, so local courts will be very necessary. If the people working there are flawed and can be bribed the total Judiciary would crush. So, hand-picking is the best option to secure the place. People will never be stopped from practicing the religion they want to. They will be encouraged to live their life on their own terms and perform all the duties as a fellow citizen of the kingdom. All the citizens including ministers to factory workers will be treated equally according to the law. There will not be any scarcity of food because the farmers will not be burdened with paying taxes. Only the higher class will be subjected to taxation so that an economic balance is maintained in the society. Anybody trying to overpower another person or damage their property with the help of money will not be tolerated and will be put on trial according to the code of law. There are many criminals who are serious and continuous offenders in every place. These are some people who need to be off the streets so that people can live without fear. So, strict actions will be taken to the jail where they will be subjected to punishments like caged for a lifetime. This will make it simpler for other offenders to understand and leave the wrong way of life. This is very necessary all around the kingdom and if I am building any place I would make it safe. Every kid will be subjected to minimum education. There will be a fund made through the donations of rich people in the community and that will be utilized by the government in the kingdom to carry on the scholarships for the needy students in the kingdom. My main motive as a king will obviously be creating a place will full educated people where everyone is skilled at what they do. The equal education and a minimum of skill learning will be made compulsory for everyone. The educational fees will be made keeping every people in mind as it should never depend on monetary perception. The ministers will not be selected through the same old tradition of family succession. To become a minister everybody will be subjected to go through proper examinations where their knowledge and honesty will be tested. They will be subjected to go through medical tests and only then they will be selected. Basically, to head a particular department one need to be the best and bring out their best. This way, the ministry will not be flawed and every department will be governed perfectly. The science and the research department will be a separate sector in the kingdom where the enthusiasts will be encouraged to build better technology for the advancement of the kingdom. To grow, every kingdom requires improvement and in the modern world, only better technology holds the key to the new and better world. The technology made will obviously be under scanner so that any fellow researcher never gets the chance of creating machines of mass destruction. The army will be subjected to a great amount of training and will be given the best treatment from the kingdom as a token of gratitude for their service. The families of all army personnel will be given facilities to keep on with their living. The army will be under three sectors including naval troops, air troops and land troops. They will be given the best weapons and technology so that they can easily protect the kingdom from foreign invasion. They will be frequently given medals and awards as a gesture that the kingdom also respects the fact that they stay awake at night so that we sleep peacefully. The final verdict will always be from my mouth as the king before any department taking a particular decision. The final say proves that the control over the kingdom will stay in my hands. It will, therefore, be governed according to my will and therefore no harm will be done to the subjects and they can carry on with their happy life in their own perfect way. This is how I will control my kingdom, so that it may flourish with improvements in technology, having a stable economy and keeping a communal harmony. Everybody deserves a life worth living and not some burden and this will be the word of advice for all my fellow subjects. It will be a great experience looking at a Utopia built by me. THANK YOU BECAUSE SHARE THIS SITE.